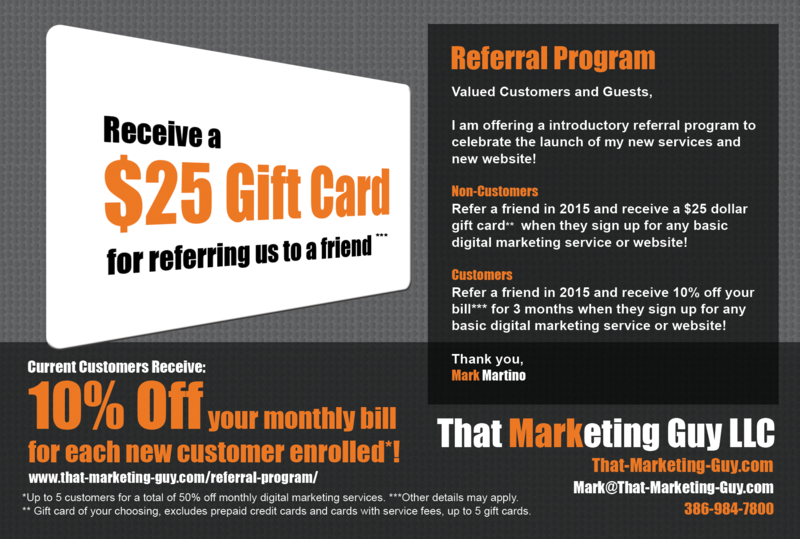 Referral Program - Receive a $25 Gift Card! Tell your friends! 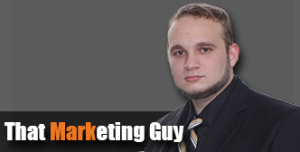 In order to celebrate the launch of That-Marketing-Guy.com and our list of new services, I am offering a referral program for my valued customers and friends! 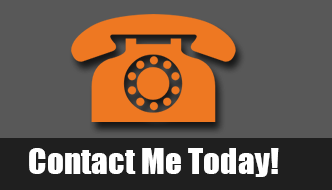 Submit your friends contact information and I will send them a custom introductory quote. If they sign up for services, I will mail you a $25 gift card of your choosing (excludes pre-paid debit cards). Its that simple! 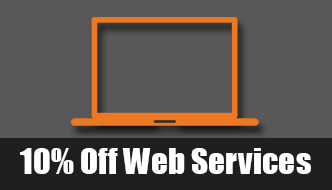 Current customers receive 10% off of their monthly bill for each new customer that enroll in a digital marketing service or website up to 50% off their total monthly bill! Non-customers will receive a $25 gift card of their choosing (excludes prepaid credit cards and giftcards with service fees) for each new customer they refer that enrolls in an advanced or basic digital marketing service. I am also offering promotional prices for new customers this month. Please head over to my “Promotions” page to see this months pricing changes!